Novak Djokovic's own troubles with injury enable him to relate to the pain Andy Murray is going through as the end of his illustrious playing career nears. "As someone that has been through a major injury myself recently, I can probably relate a little bit to what he's going through," Djokovic told reporters. "I think his injury of the hip is something certainly far worse than mine, my injury, because it's obviously something that he's been carrying for a while, for a couple of years. "He's unable to, even after several surgeries, get back to the desired level. As an athlete, that's probably the biggest obstacle and enemy that you can have: an injury. That's something that takes away your ability to compete and to play the sport that you love. 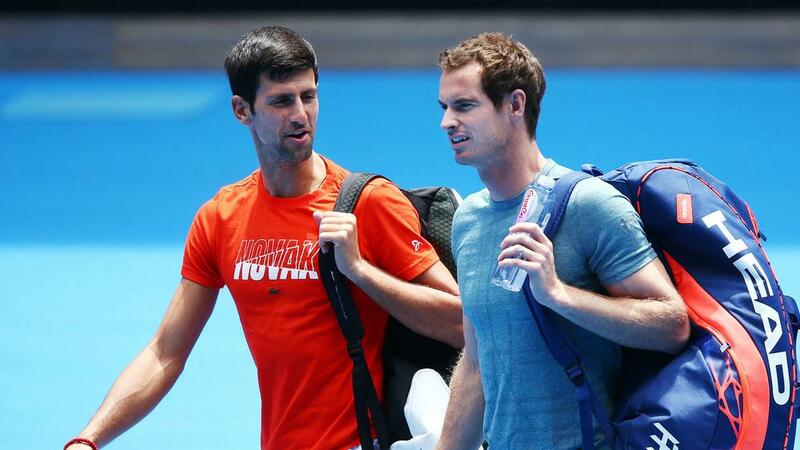 "So it's sad for me, but for all sport, because Andy is a very respected and likable guy around the locker room. "He's a great champion. He's a legend of this sport, without a doubt, multiple grand slam winner, two golds from Olympic Games, Davis Cup. He's had it all. "Yeah, I mean, it's really hard to see him going through those emotions, as well, on the court and off the court. In front of you guys the other day... he touched us all definitely. I definitely wish him a painless future in whatever shape or form that is, on or off the court, as well." Djokovic faced Murray in a practice match in Melbourne on Thursday – winning 6-1 4-1 – and he admitted his friend's problems were clear to see. He added: "I did see, it was very obvious for everyone, you saw it, you didn't need to be on court to notice that he's struggling, that he's not moving as well as he normally does. "We've seen so many years of Andy Murray being one of the fittest guys on the tour, running around the court, getting always an extra ball back. "We played lots of epic matches on the professional circuit. Our games are quite alike. "Obviously to see him struggle so much and go through so much pain, it's very sad and it hurts me as his long-time friend, colleague, rival."